Experiencing Flood Damage? We Can Help! Flooding in your home or office is usually caused by torrential downpours, a plumbing leak, or some sort of sewer backup. No matter how the flooding occurs, it can cause major damage to your property. Our teams of certified San Diego flood cleanup experts are available 24/7 to extract the water from your home or business and get it back to its original state as quickly as possible. If you are experiencing flooding in your San Diego home or office, you need to contact a flood damage company ASAP! Statistics show that flooding will affect 25 out of 1,000 residences annually. Excess moisture will not only damage your home or office, it also creates the ideal environment for mold to develop. The most effective approach for protecting your property from the mold caused by flooding is to always have it dried out, ventilated, disinfected and restored as quickly as possible. If your household or business has been damaged by flooding, trust our local San Diego flood cleanup specialists to respond promptly and to fully assess your situation, accurately restore your possessions, and return your property to its pre-loss condition. Once water makes its way into your property it can turn into a rather lengthy and difficult procedure for getting your residence back to normal. You do not want to risk handling the restoration and repairs on your own when a trained San Diego flood cleanup specialist can take the stressful process off of your hands. Calling a specialized flood cleanup company in San Diego won’t only allow you to get back to your regular schedule, but it will likely allow your home or office to get back to normal at an extremely rapid pace. We work together with all construction contractors necessary to ensure the cleanup and restoration is completed in a speedy manner. Our San Diego flooding cleanup professionals are even prepared to send extra personnel to your location to accomplish the repair and restoration process faster keeping you from losing another day out of your property. Helping San Diego home and business owners recover from flooding is our specialty, and our San Diego flood damage specialists have the experience and equipment required to minimize damage to your residence and restore damages in an efficient manner. Waiting to contact a flood cleanup company in San Diego could end up costing you thousands of dollars! Our San Diego flood cleanup experts have the skills and experience required to repair the damage and get you back into your property at a fraction of the price compared to other San Diego flood cleanup companies! Orange Restoration has the area’s best reputation in flood cleanup, and we want to help get your home or business back to normal. We can work with your insurance company and with any other parties involved to make sure the process goes as rapidly as possible and restores your location to exactly as it was before — or perhaps a bit better. We guarantee that we never participate in upselling, pressure tactics, or try to slide in hidden charges. Plus, our prices are always in line with or lower than XACTIMATE, the insurance industry’s pricelist for services. Real people answer our phones, and certified technicians come to your home or business when they say they will. These little touches are our way of helping you trust us — and they’re the right way to do business. We care about you, and we care about handling your flood cleanup job in the San Diego area with perfection and distinction. Please contact us now using our contact form, our live chat window, or via phone at (619) 376-6838. 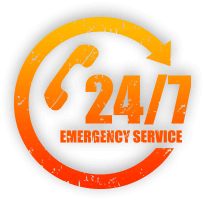 When you need emergency flood services, we’re here for you. You deserve to have our experts on your side as you put things back in order.